We had leaves imported from Idaho (thank you, Rose! ), and crayons for making leaf rubbings. 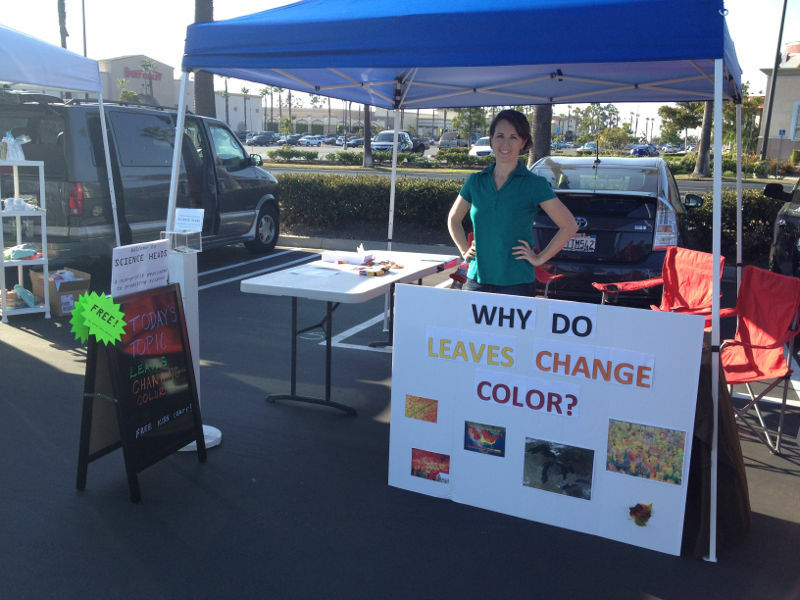 Our booth at the Foothill Ranch Farmer’s Market. Topic for the day was fall colors.